At 4-star Hotel Navarra in the heart of Bruges you will receive a warm welcome. 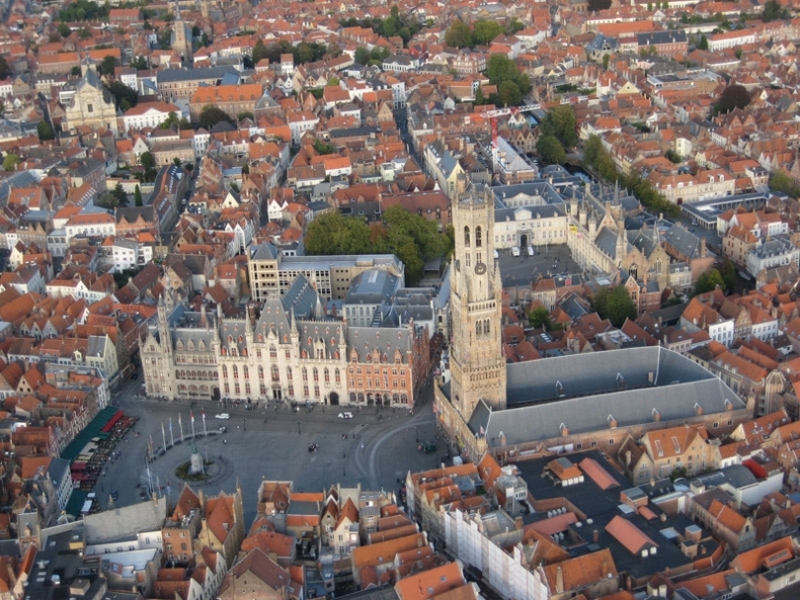 Within a radius of just 100 m, you can visit the main shopping district and all places of interest, such as the Belfry Tower, the market square and canals. 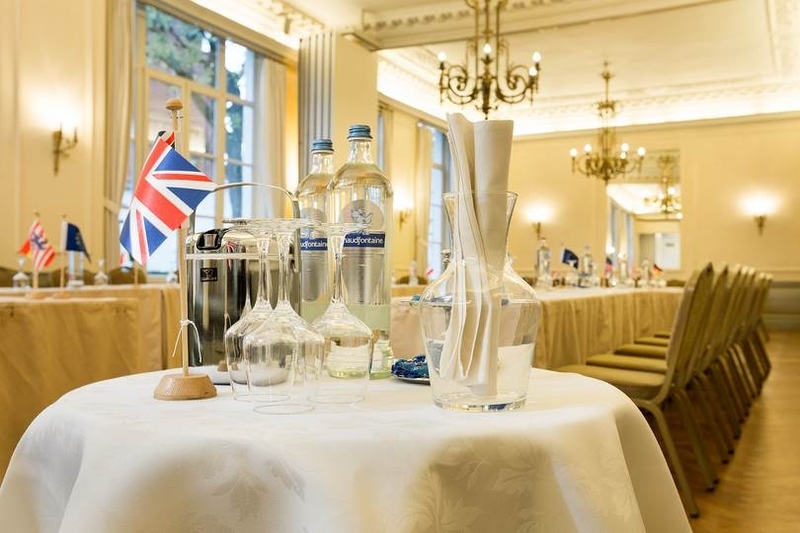 Our hotel is easily accessible by car (Le Shuttle), train (Eurostar) and via ferry (Dover-Calais or Hull-Zeebrugge) and also offers good connections to the airports of Brussels and Charleroi (Brussels South). The central location of 4-star Hotel Navarra Bruges is ideal for a (romantic) weekend break, a relaxing midweek break or a business trip. At Hotel Navarra Bruges, our friendly and professional team is ready to serve you with a smile. If you book a room at our 4-star hotel for a blissful stay in Bruges, you will enjoy a personal, most friendly top-notch service focusing on your comfort and requirements. Hotel Navarra Bruges also knows the best places to go in town and we don’t mind sharing them with you. If you are you looking for a hotel that exudes authenticity and offers all modern comforts, visit Hotel Navarra Bruges. 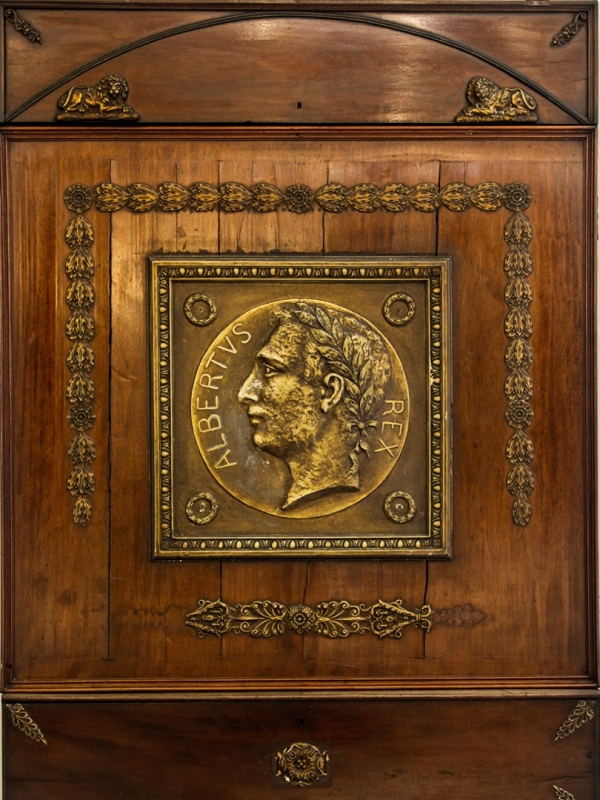 The historic building has a rich history that is beautifully intertwined with the hotel’s contemporary furnishings and equipment. You will stay in an authentic setting surrounded by friendly hospitality and all modern comforts. Sustainability is also a priority at Hotel Navarra Bruges, which is recognised by the Green Key label that the hotel has had since 2011. So if you book a room at our 4-star hotel, you will have a comfortable stay in Bruges in a sustainable, environmentally friendly setting. 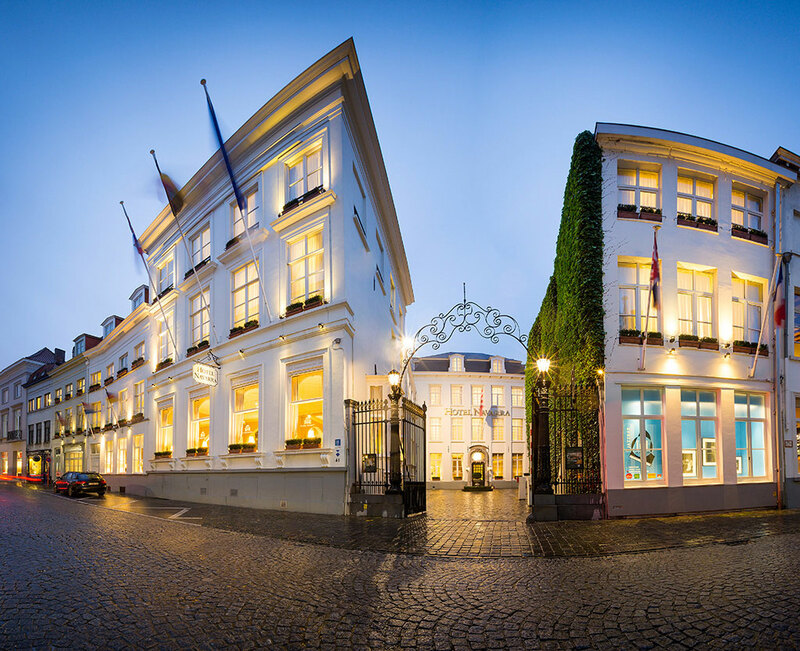 Enjoy a wonderful stay in Bruges with the 4-star comfort of Hotel Navarra Bruges. The wide range of hotel facilities available to our guests include a stylish (jazz) bar, heated indoor pool, relaxing sauna and professional gym. Hotel Navarra Bruges also has a beautiful garden / terrace, a green oasis of calm right in the centre of Bruges. 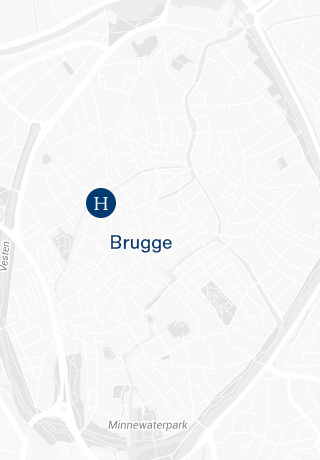 If you are staying with us and you are travelling to Bruges by car, you can use the hotel’s private on-site car park and additional parking facilities are available just around the corner. If you are looking for a hotel for your business meeting, 4-star Hotel Navarra Bruges is the perfect choice. We have one large conference room that can be turned into several smaller meeting rooms. We will adapt the room to your requirements and we will provide all the necessary meeting facilities. The beautiful, authentic architecture and abundance of natural light create the ideal setting for your meeting or seminar. If you are looking for a friendly 4-star hotel with a central location, book Hotel Navarra Bruges for a relaxing midweek or weekend break or a successful business meeting. If you would like to have more information on the hotel facilities at Hotel Navarra Bruges, please do not hesitate to contact us. We are looking forward to welcoming you.